An experienced Green Earth Exterminators service technician will provide a thorough inspection and comprehensive treatment for your home's initial service. After this initial service is complete, Green Earth Exterminators Pest Control will provide an ongoing regular service plan that has been customized for your home. 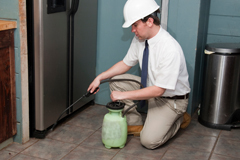 Regular service will GUARANTEE complete protection against otherwise certain pest problems. Perhaps the most important part of the initial service is a complete and comprehensive inspection of your home and its surroundings. Green Earth Exterminators service technicians have been trained to identify immediate problem areas, as well as possible pest harborages, both in and around your home. Inside your home we will focus on target locations such as kitchens, bathrooms, laundry rooms, basements, and attics. We'll give special attention to the cracks and crevices under sinks and around appliances. Outside your home we will focus on critical entry points that pests may access. In addition, we will inspect and treat locations such as eaves, garages, sheds, woodpiles, or other commonly infested areas. During different times of the year your home will be exposed to different types of pests. Whether it's Bee Removal Houston, roaches, ants, spiders, or rodents, you will most certainly experience visits by these unwelcome guests. Regardless of the season, and no matter the pest, Green Earth Exterminators will provide complete pest protection for you and your family. It is imperative that regular services reestablish a protective barrier around your home, acting as a bulwark against pest invasions. This protective barrier is reinforced with each and every regular service to your home and yard. In certain instances, we may be required to treat the inside of your home during regular services. These services will help reinforce the protection provided by the initial service. Did you know that the annual cost of termite damage to homes in the US is greater that that of fires, storms, and floods combined? One of the biggest problems with termites is that you usually don't see them--or the damage they cause--until it is too late. 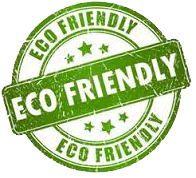 It is our commitment to provide Environmentally Friendly Products and Green Pest Control for our customers. We are always working to perfect our service by staying abreast of the most recent technologies and products.